You will be spending the day or night in an extra wide 21-foot Tuffy Tiller Boat powered by Mercury with Lowrance and MinnKota Electronics. All rods, reels, tackle, and bait are provided. We are flexible with times of day or split days can be arranged, depending on the fish, you or your group. Please feel free to call and/or email us for more details. Group rates available for multiple boats. Additional Client – $50 per Trip. Trail/Follow Boats (same party) $150 per Boat. GIFT CERTIFICATES Available: A Day on the water makes a great Gift for Christmas, Birthdays, Retirements, Graduations, or a Reward for Good Work and or Goals Accomplished. 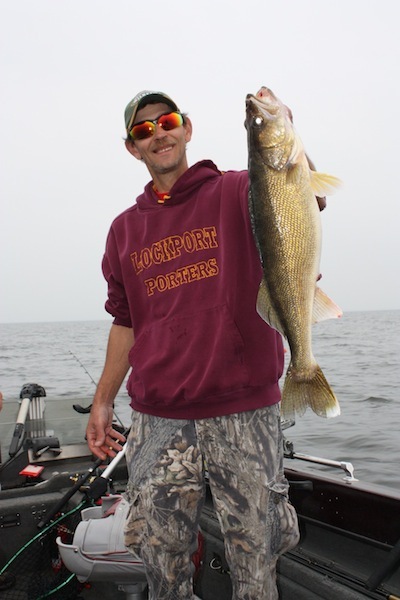 © 2017 LAKE MILLE LACS GUIDE SERVICE. ALL RIGHTS RESERVED. SITE BY UP NORTH MARKETING.